Selby Service Centre is a new, state-of-the-art car servicing centre. We offer a friendly, professional service and modern waiting area which includes free Wifi. We're conveniently located just 2 minutes walk from the Wishing Well Pub. Our staff will always endeavour to provide you with the best advice and service for you and your car. An MOT Test normally takes up to 1 hour, we are a 2 minute walk from the Wishing Well Pub and Family Restaurant where you can relax while your car is tested, alternatively we also provide customers with a comfortabke reception area, complete with MOT testing viewing facilities. A retest is free of charge for any cars that don’t pass first time. We offer a wide range of services to our customers, from simple tasks such as replacing a bulb all the way through to a more complicated job such as a cam belt replacement. We offer different levels of servicing to suit our customers’ needs and budget, from quick and low cost interim services to more extensive full service where brakes are stripped and cleaned, fuel, air and pollen filters are replaced. 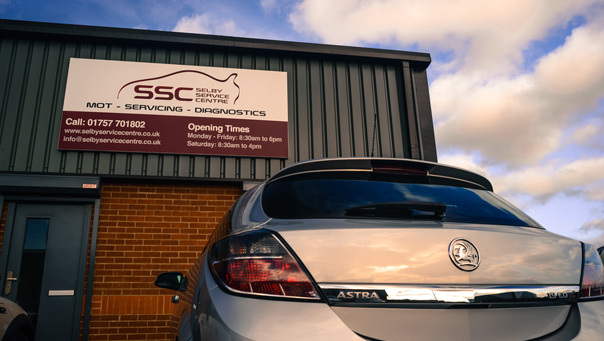 Modern cars normally need diagnosing using a diagnostic computer, we have an up to date system which can diagnose faults, clear codes, reset service lights, etc. so you're reassured your vehicle is running as intended. As well as using technology we can also diagnose faults the traditional way, by inspecting and listening to your car!